Smokey’s Tangle is the studio and collaboration of artists Emily Wick and Brian Brooks. “Smokey”, our imaginary cat, has been in existence since 2003. 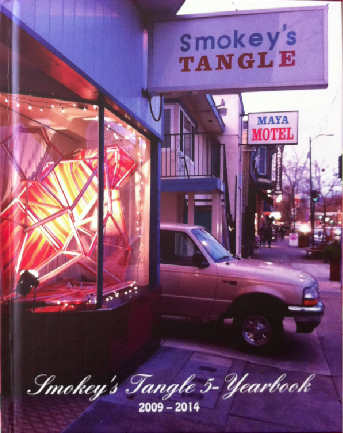 In February 2009 we opened Smokey’s Tangle a studio and gallery located at 4709 Telegraph Avenue, in Oakland, California. That location closed in late 2018, but Smokey is alive and well. For more information view our 5-Year Book (PDF).